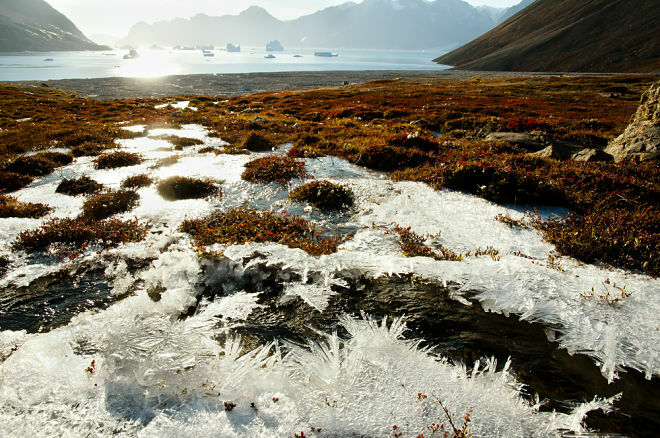 Where did methane come from in the Far North? Scientists have learned where methane came from in the Far North, reports Rossiyskaya Gazeta. Researchers have confirmed that this colorless gas contained in the permafrost produces anaerobic bacteria. The study of underground ice and frozen deposits on the shores and shelf of the Kara Sea showed that bacteria produce methane at temperatures below zero, and the ability to produce this gas is kept to −4 degrees Celsius. Also, scientists note that the methane content depends on the temperature – the colder, the less gas concentration in ice and sediments. The level of this hydrocarbon in samples from different geographic zones varies hundreds of times. The cunning of methane, which is stored in the permafrost, is the various forms that gas can take. For example, the level of methane in the same volume of hydrate – a crystal of water and gas – 160-180 volumes of pure gas. The release of this amount of methane into the atmosphere can affect the climate of the entire Earth.